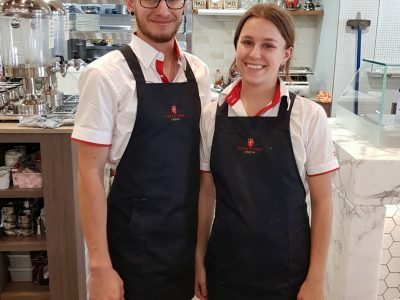 One of Sydney’s premium boutique food stores, with a family history dating back to 1949, Forestway Fresh is a special place. Providing fresh produce in Terry Hills since 2003, this is a 100% family operated business. Forestway Fresh manages to combine the locality and friendliness of family with exceptionally high-quality products. With an onsite ‘tasting deck’ eatery and a large variety of seasonal produce, Forestway Fresh is a thriving business. Forestway Fresh got in touch with The Uniform Edit to initiate a staff-wide uniform transformation. 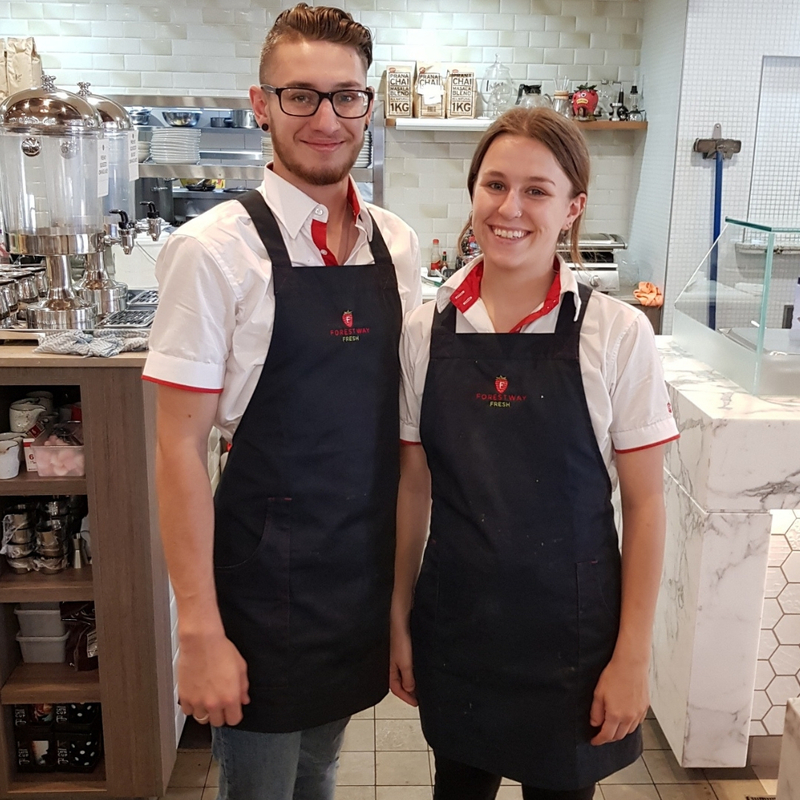 As a boutique food store with a strong community ethos, Forestway Fresh wanted a shirt uniform which wasn’t overly formal or stiff. They needed to be approachable and comfortable – after all, lifting boxes of vegetables raises a sweat! 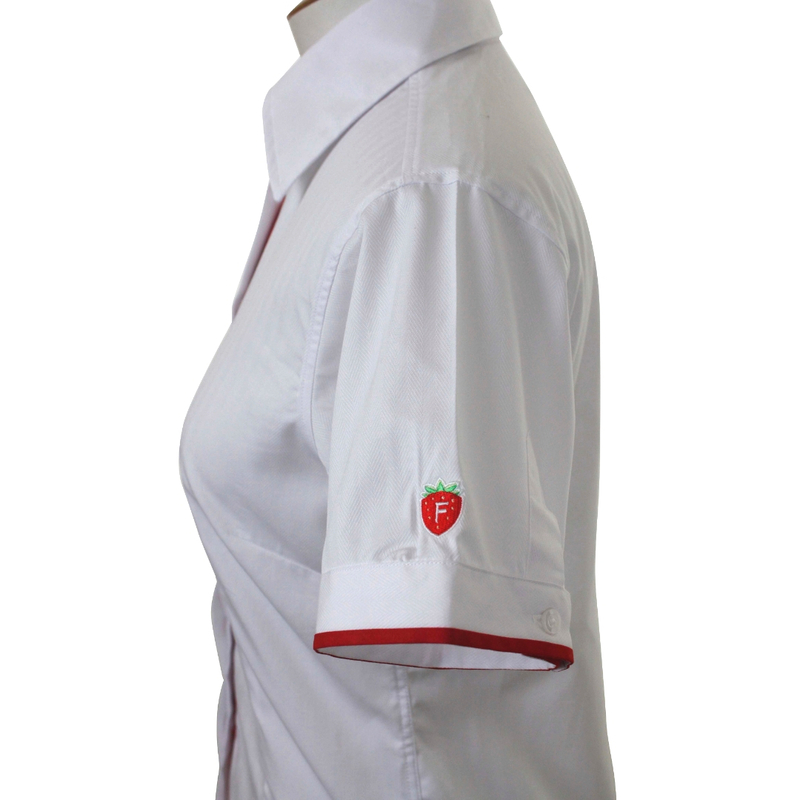 Yet, Forestway Fresh also wanted a uniform which communicated professional capability. This is a balance which The Uniform Edit regularly achieve for their clients. The team consists of men and women of all sizes and ages so the new uniform needed to be adaptable. It also needed to be something which could be worn across all seasons – rain, hail or shine! 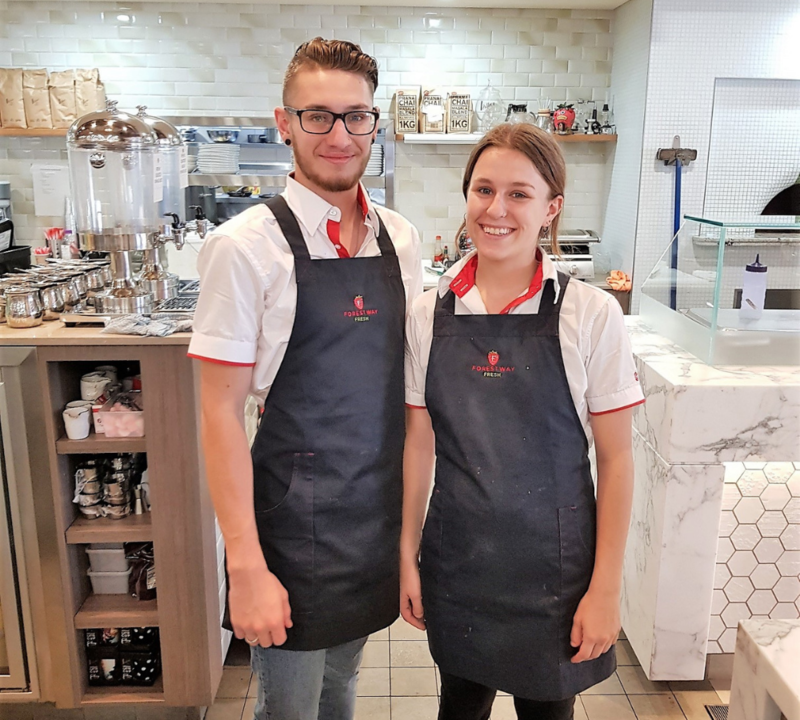 The Uniform Edit took all these elements into account and created Forestway Fresh a flexible, comfortable and attractive uniform which fits their business to a tee. 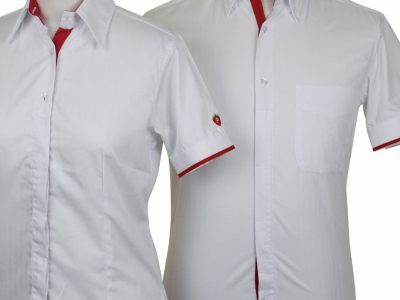 The uniform consists of white shirts with red trimming for a touch of colour. 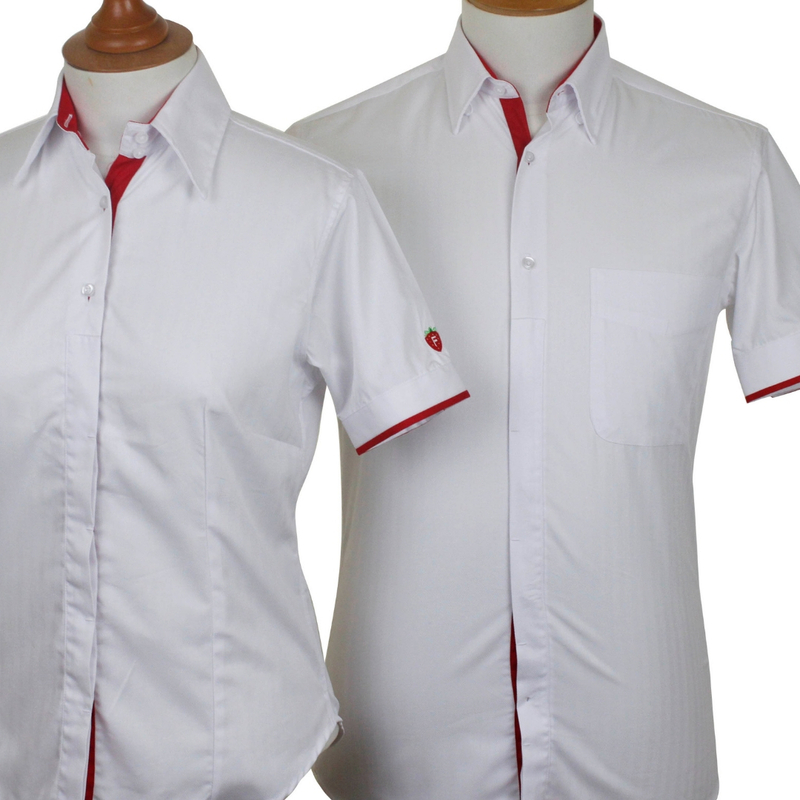 The shirts have a partially concealed placket to create a more casual look. 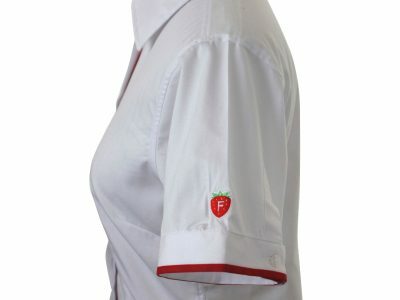 The logo, a simple strawberry icon, is positioned clearly on the sleeves. 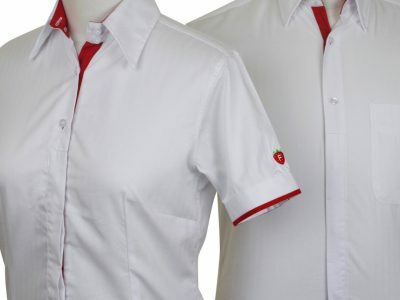 These shirts are made from a polyester cotton mix which means they are durable and don’t easily crease. The uniform also includes black knitwear to wear and bold red aprons. The look is fresh and friendly – two things Forestway Fresh prides itself on. The team understands their uniform is all part of their brand culture and wear it with delight. Forestway Fresh already had a recognisable brand colour, red. 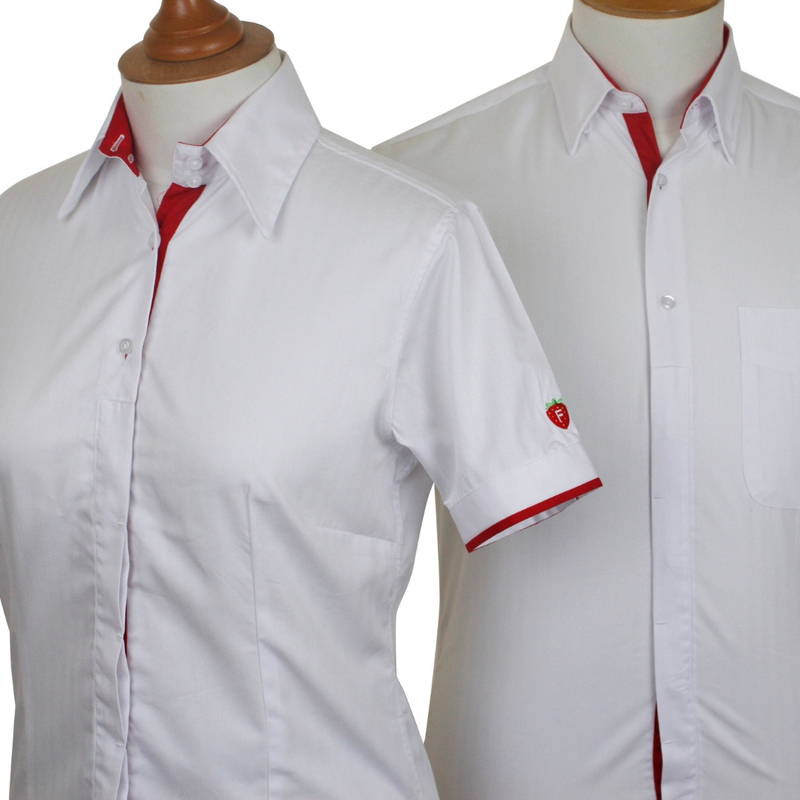 They wanted the aesthetic of the uniform to showcase their values of health and vibrancy. Forestway Fresh staff all genuinely feel honoured to work for the company and this is highly reflected in their uniform presentation.